Welcome to our New Bookassistants! 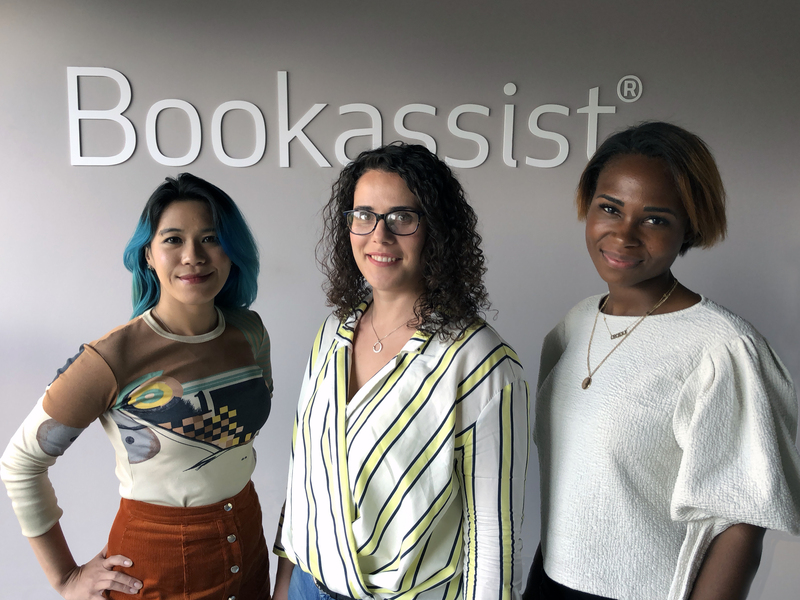 We welcome Samantha Salazar, Gemma Gonzalez and Cecile Tchunsi who have recently joined the Digital Marketing team in Bookassist’s Dublin office. Samantha is a Filipino-American hailing from the Lone Star State. She is a published author and self-proclaimed brand bard who enjoys crafting online narratives. Gemma is from Salamanca in Spain where she studied Business and Economics. She found her passion for Digital Marketing in Ireland and has specialized in Ecommerce. Cecile comes from the iconic French city of Versailles. She is a cheerful, full-time learner who loves to expand her knowledge in digital marketing and foreign cultures. The Bookassist Digital Marketing team is multiskilled, multinational and multilingual - a must for global reach on the internet. The team deals with all aspects of digital presence for our clients in English, French, Spanish, Portuguese, Italian, German and Czech. Digital Marketing and Meta Search are key growth areas for our clients and for the company.